The transitional Longevity loveseat brings a unique blend of classic style and contemporary design to your home. The English rolled track arms and two sets of accent pillows add elegance to this sofa. 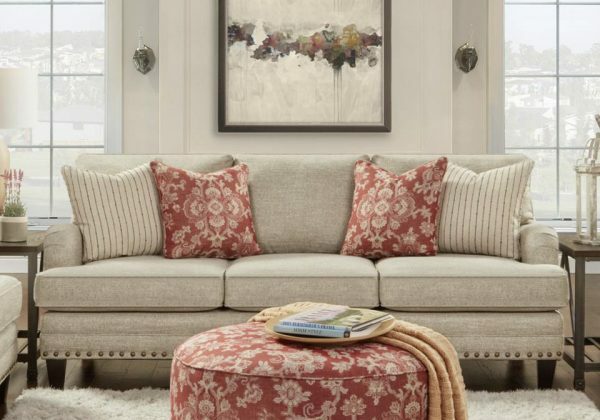 Features such as the nail head trim accenting around the base and tapered wood legs update this piece for a modern look at home in every design style. 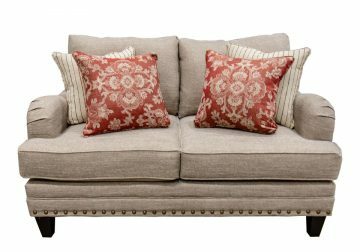 *The second image shown is the sofa, NOT the love seat. The love seat has two seat cushion, not three.